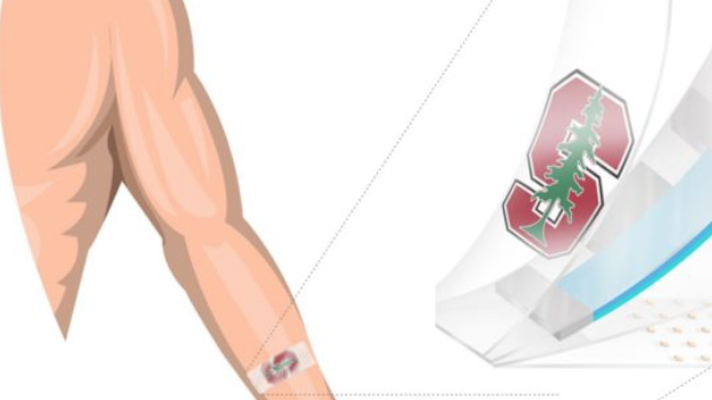 Researchers from Stanford University have developed a new wearable capable of measuring a patient’s cortisol levels from their sweat. Cortisol, a hormone linked to stress, typically takes several days to test. A paper outlining the early development and use of the technology was recently published in Science Advances. The research team developed a new type of flexible and stretchy sensor called the MS-OECT that can selectively sense cortisol from human sweat. It includes sensors that can specifically bind to cortisol while permitting other properties, like proteins, to pass through its membrane. But the technology isn’t solely for the purpose of telling someone if they are stressed out. Cortisol levels can give a lot of insight about a patient's condition and health. Researchers tested the prototype out on a small number of volunteers against the gold standard of cortisol testing, the ELISA method, and found the device had a strong positive correlation (relative standard deviation of five percent for the two measurements), according to the study. “In summary, we have demonstrated the integration of an artificial receptor as a biomimetic polymeric membrane for stable and selective molecular recognition using OECTs to produce a wearable sweat diagnostics platform for real-time analysis of the human stress hormone cortisol,” researchers wrote. But this team of researchers isn’t the only group looking to analyze sweat. In 2017 Eccrine Systems announced that it had developed a device that can stimulate a sweat gland on a small, isolated patch of skin. Its sensor can then make predictions on how much a given patient will sweat, allowing researchers to better understand the hormones and chemicals involved in the process. In 2016, researchers at Stanford University and the University of California-Berkeley announced that they built a prototype for a wearable sensor that could continuously collect and monitor users’ sweat on the molecular level, then send the information via Bluetooth to a smartphone. Additionally, as early as 2014 researchers from Intermountain healthcare developed a smartphone-based test for measuring salivary cortisol.